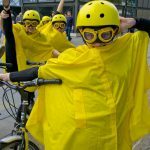 Also touring in 2019, a high impact, visual performance inspired by flash mobs, dada-ism, every day cycling & the great British weather. 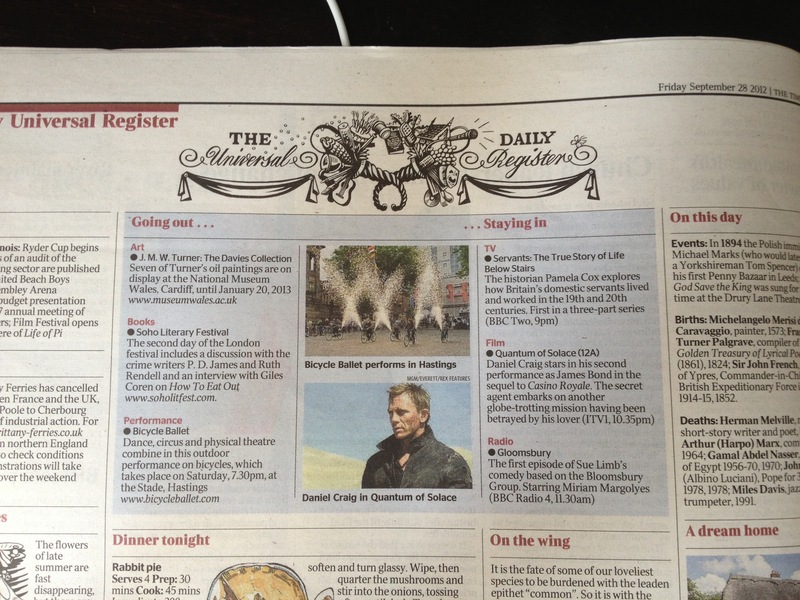 Read more…. 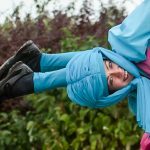 An epic 2018 summer season! 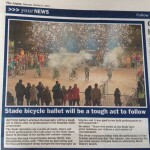 Both Strictly Cycling & Blazing Saddles toured to some amazing festivals & events across the UK in 2018. 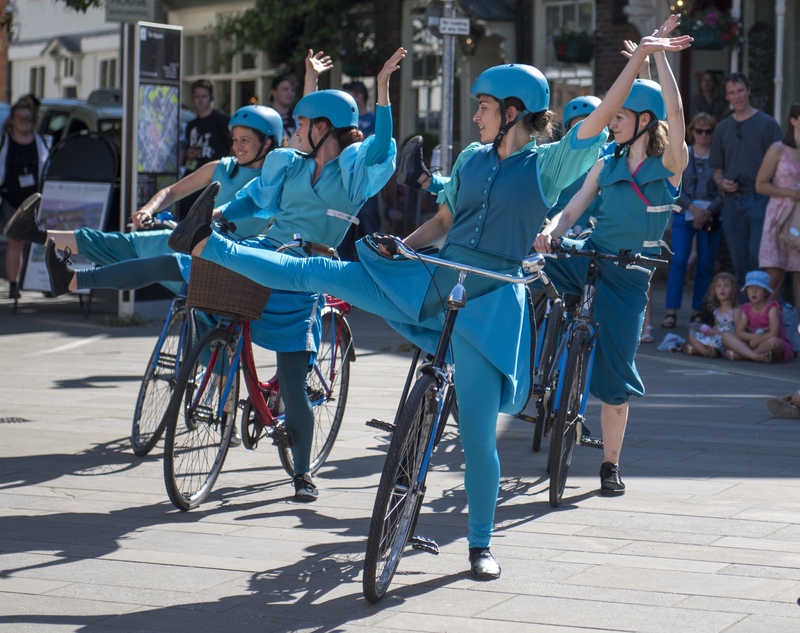 In addition, we received two commissions for Blazing Saddles, from Lakes Alive & Milton Keynes Pedalling Cultures, to build on & develop new structures, choreography & costumes to engage local participants & their bicycles. 2017 was a fantastic year! 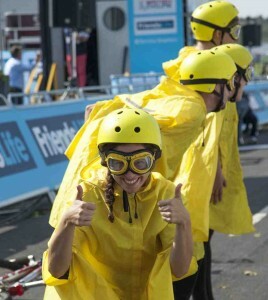 Strictly Cycling toured to 15 locations, including a fabulous 10 performer show in Trafalgar Sq. 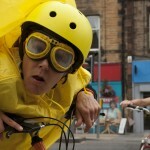 We ran an all ability workshop with performance in Bradford & performed to an estimated audience of over 16,000 people. 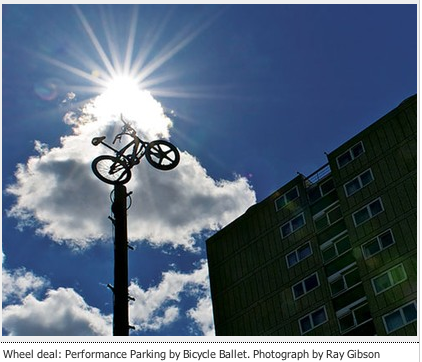 & Blazing Saddles was redeveloped for touring, following a commission from Wandsworth Arts Fringe. 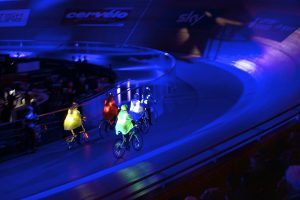 A special year, with the creation of a new show Blazing Saddles, commissioned by Southwark Council; & two special commissions: FireSpring for Cyclopark & a short piece for the opening of the UCI road track cycling championships at the London Velodrome. 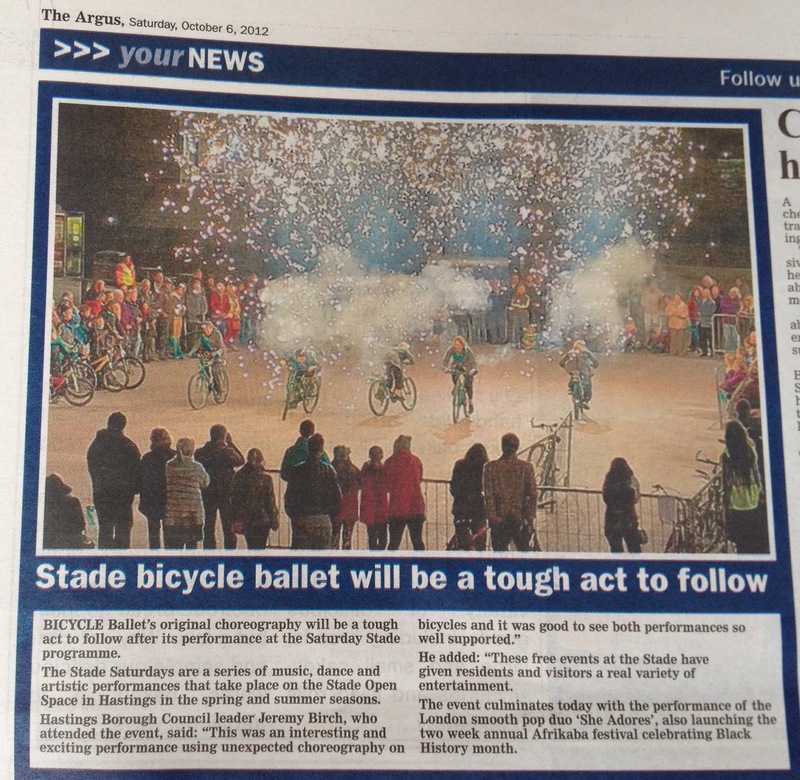 Strictly Cycling continued to tour in 2015. An improvisational, visual performance & ‘cycle-about’ choreography, inspired by flash mobs, surrealism, everyday cycling experiences and the great British weather! 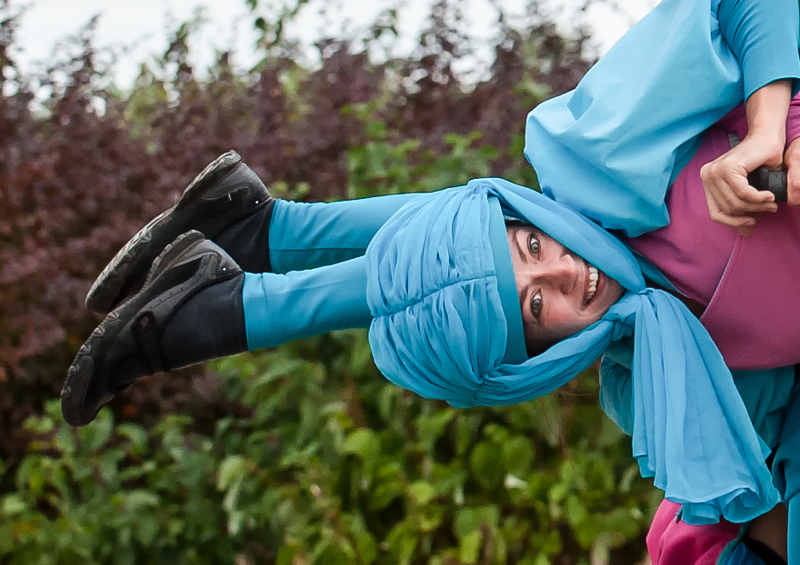 2013 Everyday Hero, a narrative driven performance featuring an integrated company of visually impaired & sighted performers, working with tandems, was created and toured in 2013. 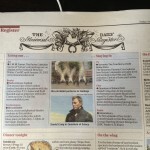 Click HERE for further info. 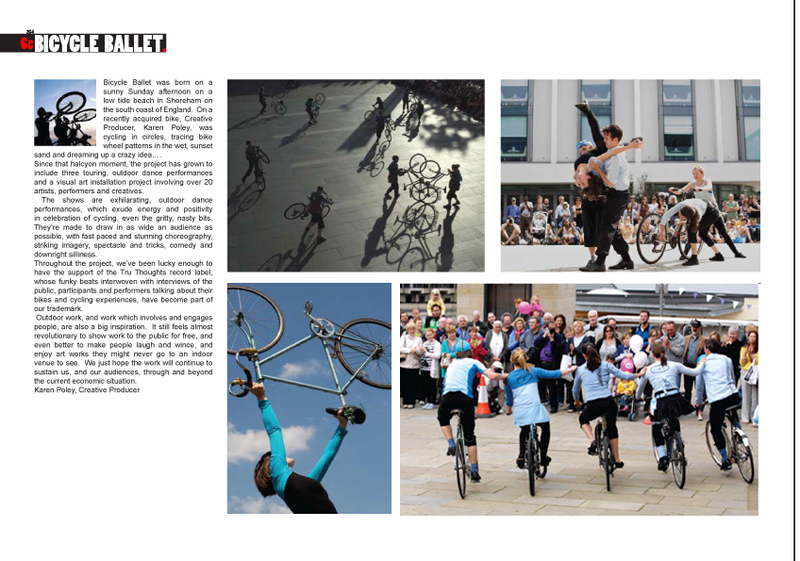 2012 Bicycle Ballet Mass Show toured to five locations in 2012, working with local people to create performances. 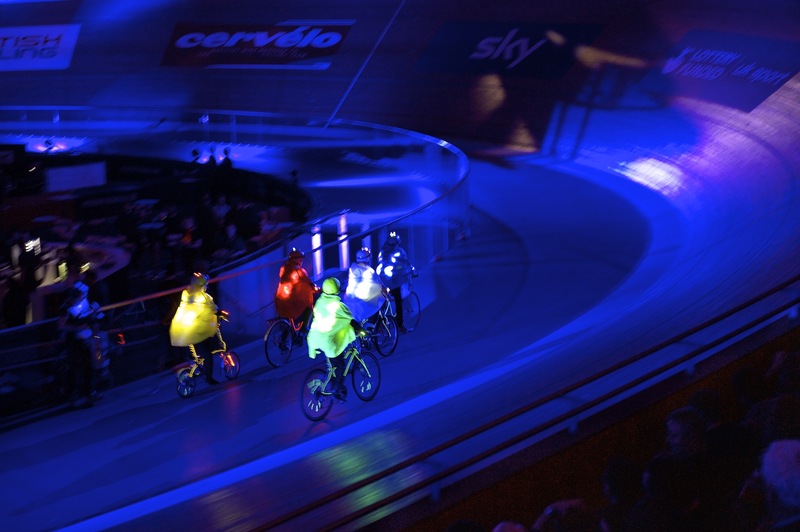 reCyculture, July – Sept 2012, a Kent wide installation project celebrating the Paralympic Road Cycling events hosted in Brands Hatch. 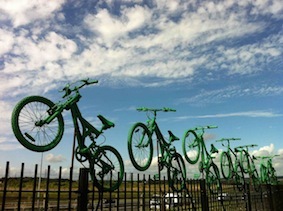 Green Horses on the Wall, May – Sept 2012, Danebury Ave, London, SW15 4DQ. An installation and spoken word project, commissioned by Wandsworth Arts Festival. 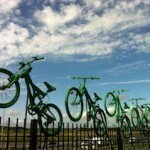 Follow the links for more info. 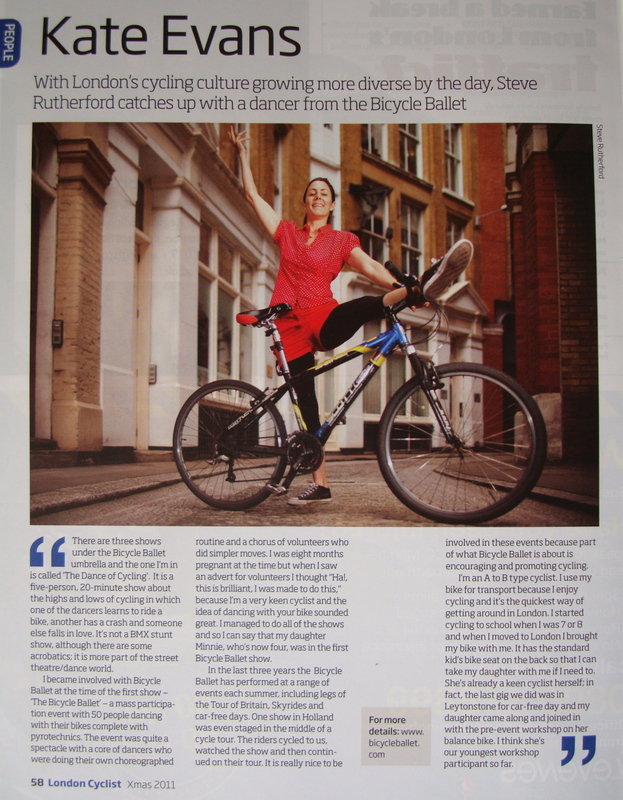 ‘dance of cycling performer’, Kate Evans, is featured in the London Cyclist magazine. 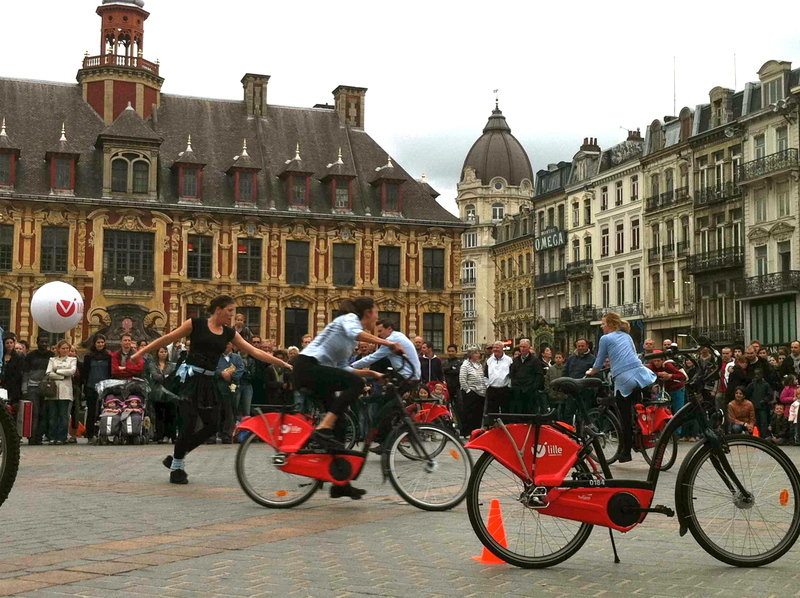 The new V’LILLE bikes were carefully worked into the narrative of ‘the dance of cycling’ and presented to large audiences in the city centre. 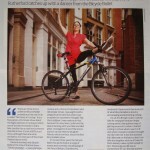 Bicycle Ballet features in a new book about art and bikes by Greek arts collective Carpe Diem. 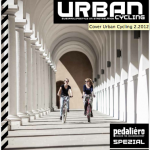 The book presents bicycles in art around the world in the form of murals, design, illustration, tattoos, custom bikes, as well as us on page 242, http://bit.ly/tFQzqs. 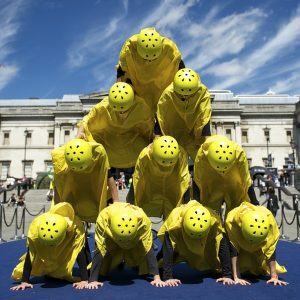 Where are the girls when the boys are learning to bunny hop? 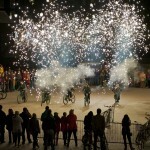 A dynamic, new outdoor show fusing dance, circus and physical theatre – on bicycles. 2011 dates on the right. 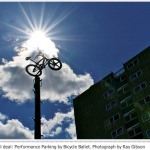 Performance Parking Large scale visual installation inspired by the lengths you sometimes have to take to securely park your bike! 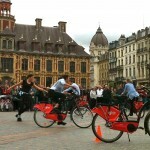 the dance of cycling has undergone a period of further development to build its dynamism, spectacle and comic moments.